Before we left Killarney, I would be remiss if I didn't mention our excellent accommodations at the Elyod House on Ross Street. Conveniently located a short walk from Ross Castle and downtown Killarney, Elyod House had rooms which were very large, clean and nicely furnished. The breakfasts were delicious, and Mary Doyle, the owner, was super friendly. Add to that the free wi-fi, and what more could you really ask for? Elyod House was superb! 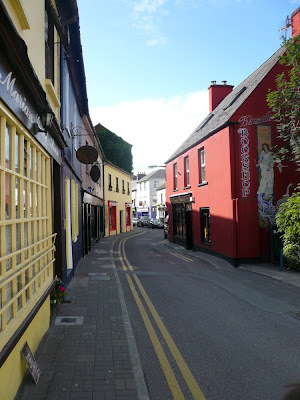 Leaving Killarney, we drove west on the N22 for Cork. We hadn't planned much of a day of touring, since our main objective was to get to Kinsale in time to enjoy the hotel pool. After having the kids cooped up in the car for ten days, a swim in the pool would be most welcome! 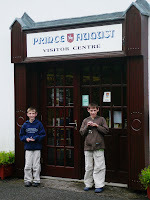 As we drove along, a few miles west of Macroom, we noticed a discreet roadside sign that said, "Toy Soldier Factory." Hey, let's check that out! 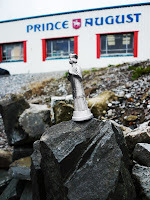 We wandered a few small back roads, always following the "Toy Soldier Factory" signs, and found ourselves at the very small factory of Prince August Toy Factory. 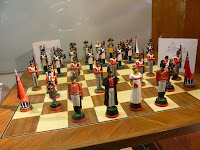 As we entered the shop, the nice lady at the front desk gave us a tour of the factory, and then a demonstration of how the tin soldiers are cast using a proprietary alloy of metals--tin, bismuth, antimony, etc. 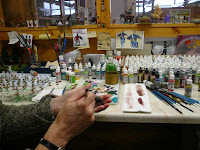 Then we visited with the ladies who hand paint all the figurines, and they showed us different techniques--like dry brushing--for painting the figures to achieve realistic looks. 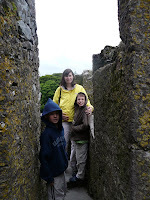 Mind you, this was just our family--no big tour groups or anything--just us. So we were really getting the special treatment. 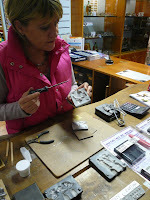 The lady back at the front desk allowed the boys to cast a figurine for each of them, which they got to keep. I would say "for free", except that we unloaded a huge chunk of change buying our own casting sets and other various surprises for Christmas. I tell you, these kinds of stops, where you just say, "Hey, what's over there?" are the absolute BEST! What a treasure! 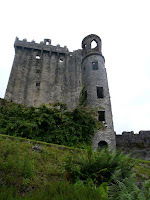 After the Toy Factory, we visited Blarney Castle. 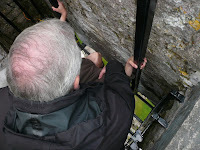 I had rather low expectations, only because Blarney Castle is the most over-touristic spot in all of Ireland. I was wrong. It was a very good castle, and on this particular day, not at all busy. We wandered up to the castle, walked right up to the Blarney Stone (no waiting), and each of us (even Becky and Eddie) gave it a big ol' smooch! "Blarney, Blarney, what he says he does not mean. 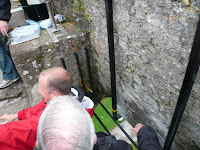 It is the usual Blarney." 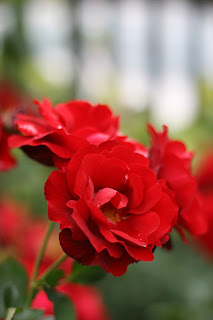 So spoke Queen Elizabeth I, and a legend and its accompanying tourist phenomenon were born. The Lord of Blarney, Cormac MacCarthy, though supposedly loyal to the queen, had been stalling her emissary, Sir George Carew, who had been sent to restrore English control of Munster, sidetracking him with wine, women and words. MacCarthy, it was said, could talk "the noose off his head", and over the centuries blarney came to mean "flattering, untrustworthy or loquacious talk associated with ... Irish people" (The Encyclopedia of Ireland). 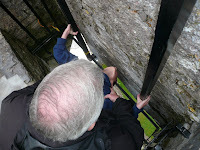 It goes on to say that it was the great tourism boom that cemented the idea of kissing the Blarney Stone with the "gift of gab." Baloney is when you tell a 50-year old woman that she looks 18. 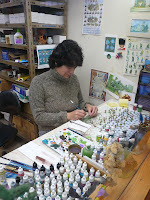 Blarney is when you ask a woman how old she is, because you want to know at what age women are most beautiful. My brother has a natural gift for blarney. Any of you who know Mike will have to agree. 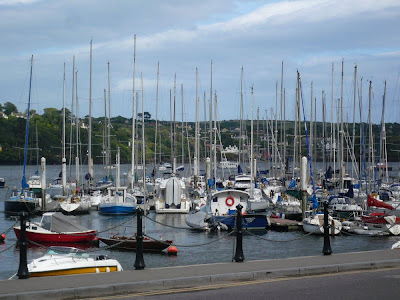 After Blarney Castle, we headed south for the Actons Hotel, located pier-side in Kinsale. We arrived early, at one o'clock, were put up in the very swanky O'Donnell Suite, and so went straight off to the pool for a vigorous two hour swim. The pool was very nice: jacuzzis, saunas, steam rooms, a nice big pool with massaging water jets, and a large kiddie pool. I even got in a short 40 minute swim while the boys noodled around in the kiddie pool. 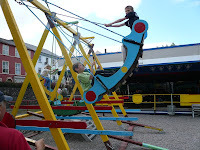 After the pool, we found a gypsy Fun Fair next to the hotel, so we let the boys enjoy a ride or two. It was pretty soon, however, that we had shelled out €20, so we didn't stay long. After the fair, we met back up with Sharon and Desi. Sharon and Desi were completely tired of traditional Irish fare, so we went to another Tandoori restaurant. 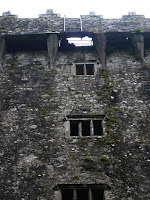 This place, I must confess, was not the equal of the place in Killarney. The butter chicken was too sweet, and nothing was very spicy. 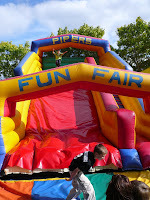 But we ate it anyway, and I think the Whelans enjoyed it well enough. Tomorrow, we're off to Glendalough Park. As this trip is winding down, I find myself somewhat eager to return home, but at the same time, totally reluctant to leave this wonderful country. 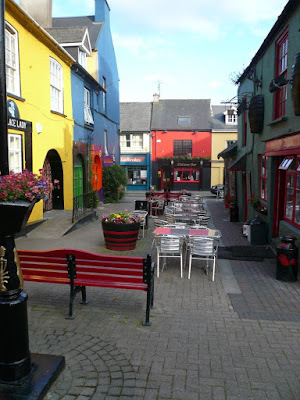 what's your next port of call, wexford or kilkenny? 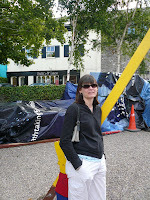 You're doing a great job of recapping the trip - I can't wait to go to Europe. I need you to plan it for me though. Next stop? Glendalough Park in County Wicklow. It's our longest driving day yet, and we've not yet decided whether to take the coastal route through Waterford and Wexford, or the faster route through Carlow and Kilkenny. I guess we'll flip a coin at some point before we set off. Man, those are some colourful houses! The exact opposite of the Aberdeen grey, I need some sunnies! 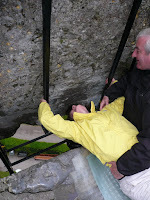 Ah I too have kissed the Blarney Stone!!! It is kind of gross to see all that lipstick and stuff on it but it is something that is a must! I am loving living vicariously through your family right now.